“Hang on for dear life” goes the saying and as of Wednesday morning I know if I ever have to put the phrase into practise, I’ve got roughly 30 seconds to live. 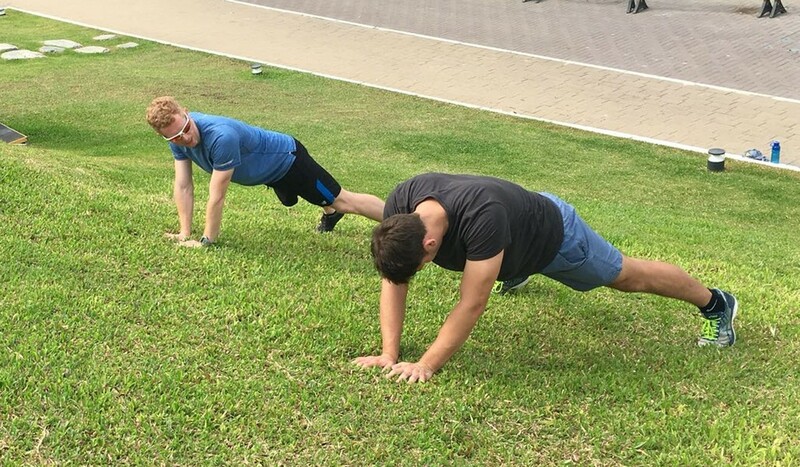 Not that the Spartan Race in Hong Kong on April 14 is life or death, but less than three weeks out from the event the 30-burpee penalty for failing an obstacle has suddenly become very real. This week’s session saw us work on the skills required to climb, hang and pull our way through and over the race’s various obstacles and, as seems to be the case with these sessions, things were going relatively well until the end of the warm-up. 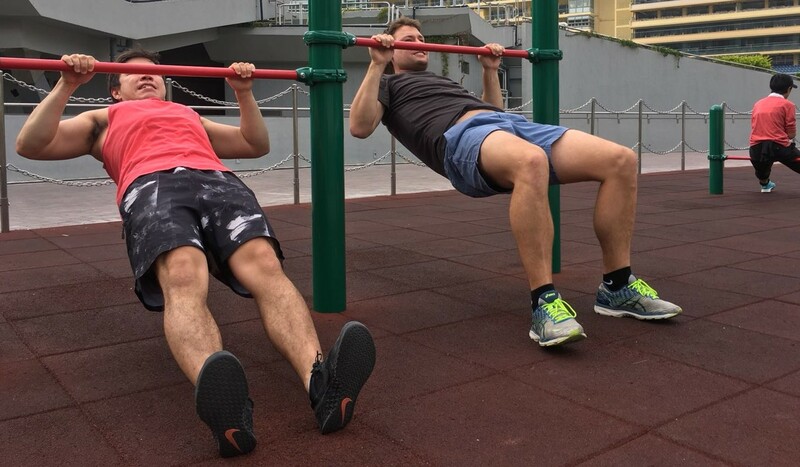 Funnily enough, deadhang holds are not something you come across all that regularly in a newsroom and, unsurprisingly, sitting behind a desk does little to prepare one’s hands for the rigours of hanging from monkey bars. As personal trainer and boot camp coach Andrew Power of AJ Power Fitness says, this torturous exercise is administered to test grip strength and it served its purpose with aplomb. According to Power, “it wasn’t long before the length of time the boys could maintain their grip strength decreased dramatically, demonstrating how common this area is oft neglected in one’s training routine”. It would be a bit unfair to lump my younger and more conditioned colleague and I together on this – his will to live was far supreme to mine – but on the whole Power has hit the nail on the head. Hanging from something is not an everyday activity and it’s unlikely a lifetime’s neglect can be turned around between now and April 14. But we pushed on to pull-up variations and inverted body weight rows, designed to increase pull strength. Pull ups are the ideal way to do just this, says Power, but presumably you’d have to be able to actually do one to reap the rewards. Hanging from a bar while unable to pull yourself up with arms that have turned swiftly to custard is a fair leveller, let me tell you, especially as your offsider punches out a handful of reps.
Yep, training for a Spartan Race is anything but easy and a sure-fire way to find yourself miles from your comfort zone. 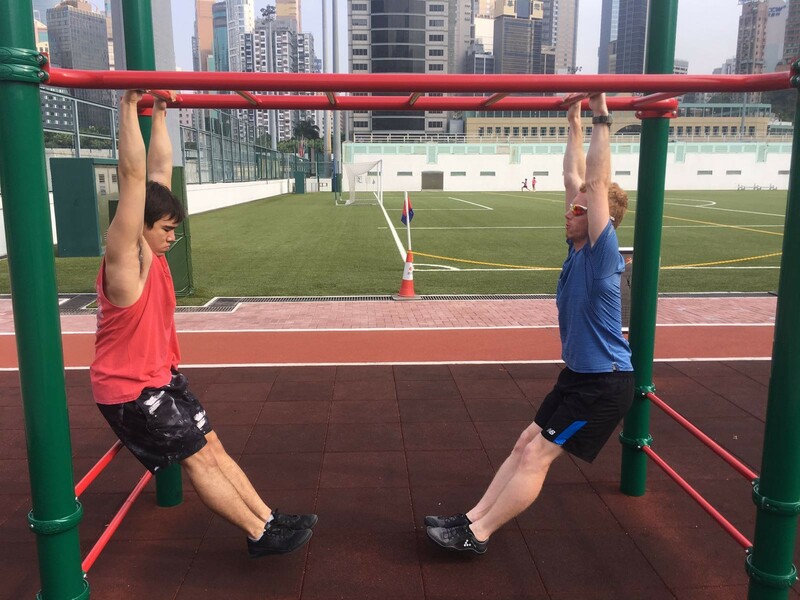 But on a positive note, when we got to the point of actually transporting ourselves from one end of the monkey bars to the other, just as we will have to in the race, we both passed the test, even if with varying degrees of technical correctness. The lateral climbing movement to finish was a breeze in comparison to the rest of the session, even if Power included “the added challenge of an incline to force more core activation and correct technique”. It wasn’t quite the picnic baskets, blankets and live music that grassy hills were invented for, but compared to deadhang holds it wasn’t far off. Is it just me, or is he suggesting just one session a week from here on in isn’t going to cut it?